If the buyer is getting financing, the lender usually requires the property to be appraised. The appraisal typically takes place after the inspection contingency has been removed and the buyer has chosen to move forward with the purchase. Under today's loan guidelines, the appraisal must be ordered through a third party company. 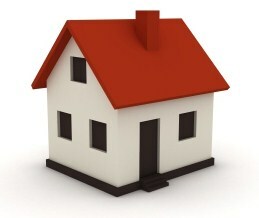 Thus, the mortgage lender does not control who is assigned to do the appraisal. As a seller, you will want to make sure your home is clean and show ready on appraisal day. Although the appraiser is not purchasing the house and can often look beyond clutter, a clean home can go a long way to increasing perceived value. The parties to the transaction may decide to terminate the contract. The buyer can choose to pay cash to cover the difference between the offer price and the appraised price. This practice is rather uncommon since buyers may not have the cash available or may be leery of paying more for the house then the appraised value. If the parties to the transaction feel the appraised value is inaccurate, they may choose to appeal to the appraiser or pay for a second appraisal. Remember, there is no gaurantee that a second appraisal will arrive at a value any great than the first. The most common outcome is to adjust the sales price down to the appraised value. Appraised values given by different companies are often very similar. Thus, it can be better for the seller to just accept the reduction and proceed forward with ready and able buyer than to cancel the contract only to run into the same situation when the next buyer comes along.